Indonesia has knocked Myanmar off the top spot and Ireland, Australia was second and New Zealand in third. The US was in fourth and Ireland was the top European nation in fifth. The UK has risen to sixth place on a list of the world’s most generous countries, a report from the Charities Aid Foundation shows. 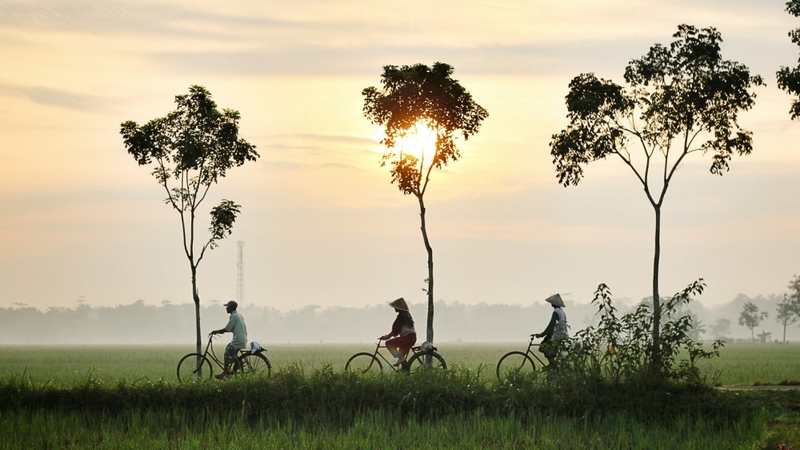 The latest instalment of CAF’s World Giving Index, produced annually since 2010, shows three Southeast Asian countries are included in the Top 10. Researchers gauged the generosity of countries by asking people if they had, over the previous month, donated money to a charity, volunteered or helped a stranger. 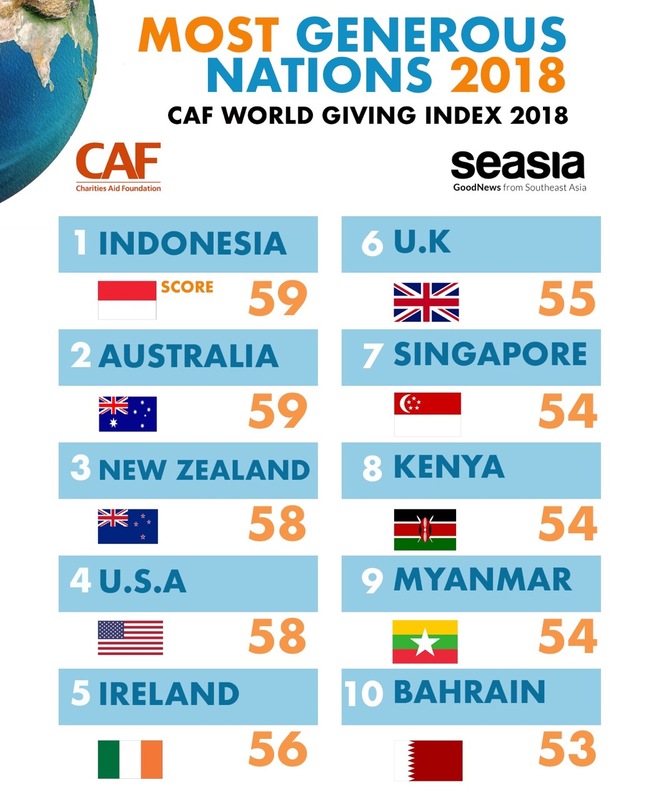 With an overall score of 59 per cent, Indonesia claimed the top spot in the list for the first time, after Myanmar, which had held the number-one position since 2014, fell to ninth. CAF said that after the Rohingya crisis it was "hard not to conclude that the country’s troubles" had contributed to the country’s lower score. CAF said the results showed that, although significantly more people worldwide reported helping a stranger or volunteering, the proportion of people who donated money in 2017, when the research was conducted, was at its lowest level since 2013. Donation levels had, however, increased among developed nations, while it had fallen in developing countries. Haiti and Singapore both moved into the top 20 for the first time this year. Libya was the country where the highest proportion of people said they had helped a stranger, Myanmar scored best for donating money and Indonesia was top for volunteering. War-torn Yemen came last in the 144 countries on the list, with an overall score of 15 per cent. The polling company Gallup surveyed more than 153,000 people worldwide to compile the report. John Low, chief executive of CAF, said it was encouraging that the decline in scores among western countries seemed to have been reversed. "But we should be concerned that, for the second year running, there has been a decline in the proportion of people donating money to good causes," he said. "It is a reminder to all of us in civil society that we should never take giving for granted."